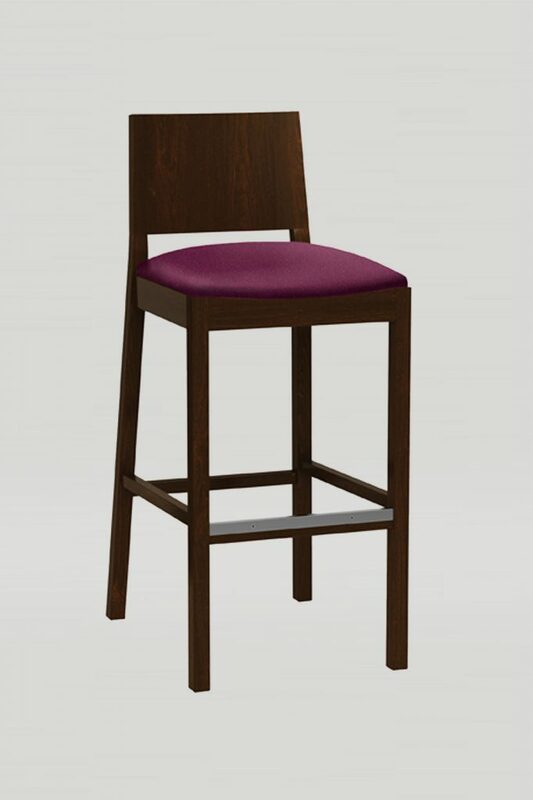 The Cara barstool features a beech frame with an upholstered seat and back. 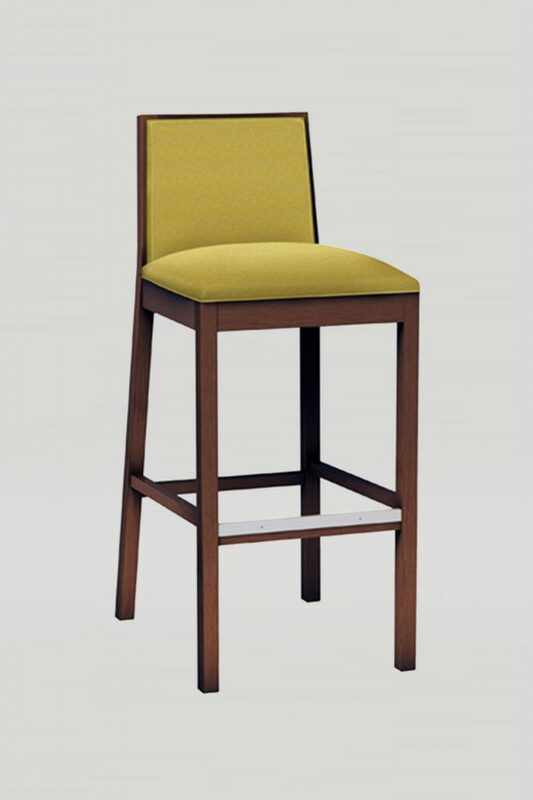 Unlike the Cara chair, the Cara barstool has a short back, but its sharp angles still connote an elegant style. More upholstery variations available in pricing download.